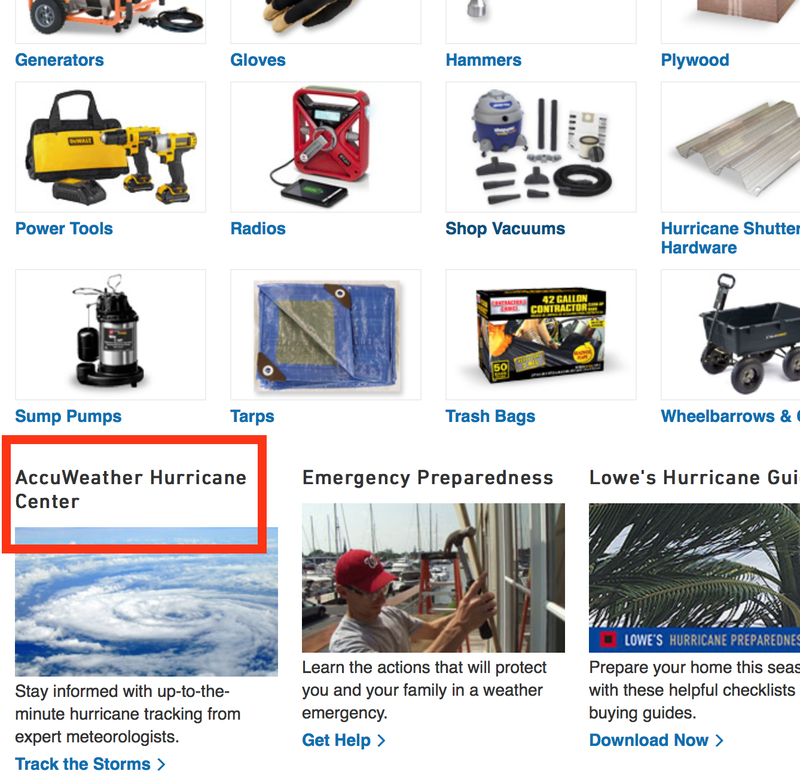 MSE Creative Consulting Blog: A Terrific Article About AccuWeather in Today's "The Street"
A Terrific Article About AccuWeather in Today's "The Street"
The article is here. 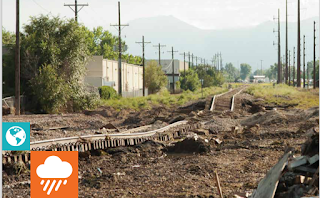 It reflects our corporate mission to protect people, property and profits. The bottom line: If your enterprise is not working with AccuWeather Enterprise Solutions, you are likely making a strategic miscalculation that could eventually cost a great deal of money and might put your business at risk. When Starbucks Corporation (SBUX) wants to gauge how many iced or hot drinks it may sell in a given season, it turns to AccuWeather's predictive analytics team. AccuWeather can advise the coffee chain if, say, October will be colder than usual, meaning more hot Pumpkin Spice Lattes than chilled brews will fly out the door. 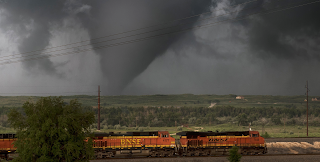 And when Class I railroads, including Norfolk Southern Corp (NSC) ,Union Pacific Corp (UNP) and CSX Corp. (CSX), need to know if tornadoes could derail their trains, they turn to AccuWeather, too, just as other clients, such as Live Nation Entertainment (LYV), Garmin Ltd. (GRMN), Ford Motor Company (F), Samsung (SSNLF) , LG Display Co (LGL) and Motorola Solutions Inc. (MSI), do when they must find out if storms, blizzards and heat waves could turn their businesses upside down. I am extremely proud of our team of expert, certified meteorologists. 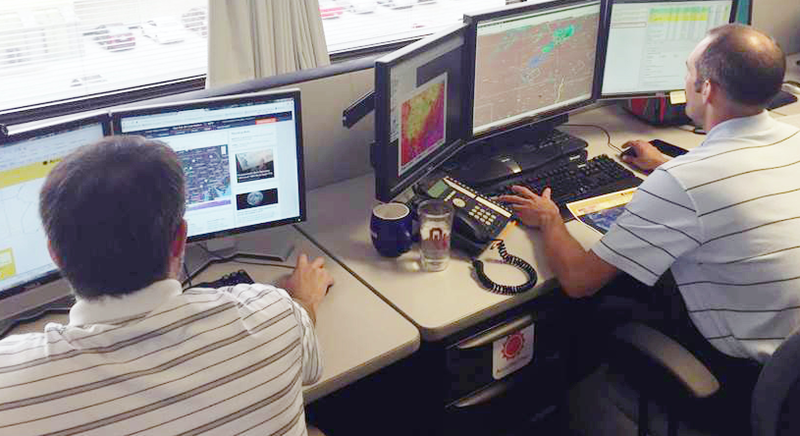 Four of our team members just won an international award for the single outstanding forecast for an entire year! We are having our we are having our celebration in the office tomorrow. At this time last week, considering Harvey made landfall Friday evening, we are already informing our Houston clients about the potential for major flooding in the Houston area. 8/22 am (Tuesday): AES first issued 8-16 inch rainfall forecast for Houston on the Storm Potential Notice that covered through Sunday AM. We also issued a SPO (Storm Potential Outlook) also that had "high" potential for serious flooding on the 27-30th. Companies that want to provide customer service above and beyond are often the ones that turn to us. Here is an excerpt from an article in yesterday's Wall Street Journal. Which one of these giant retailers is not like the others? Wal-Mart Stores Inc. said it had closed 96 stores and distribution centers in the area hit by the hurricane on Monday, up from 40 on Saturday. Wal-Mart had sent over 1,000 semi-trucks full of emergency supplies to stores in the region as of Monday, a spokesman said. “We are delaying the watermelon deliveries and speeding up the battery and bottled water deliveries,” he said on Saturday. Target Corp. said on Monday that it closed more than 30 stores in the area and would reopen them when it was safe for employees and shoppers. It is holding some supplies at distribution centers until it can deliver them when roads clear. Target also said it would donate $500,000 to the Red Cross and other disaster relief organizations. Lowe’s Co s. started reopening some of its Texas stores Monday, although 26 remained closed. Ahead of the storm, Lowe’s sent extra shipments of bottled water, trash bags, generators and other products people would need in a power outage, said Rick Neudorff, emergency command center operations manager for Lowe’s. One Lowe’s store in Aransas Pass sustained severe flooding damage, but others thus far have a small amount of water inside and should be able to open quickly, he said. Lowe's has been a client of ours for many years and has been very generous in its praise of our work. I recommend reading the entire article from The Street. 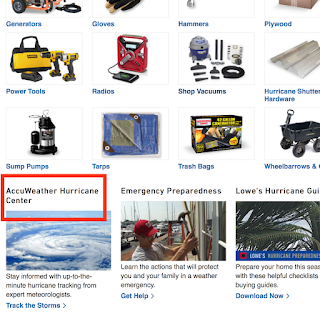 Then contact us at: salesmail@AccuWeather.com . We look forward to hearing from you! This is a great article, Mike. It doesn't surprise me to see the wonderful work you do. Keeping businesses and people safe is a daily commitment for you. Congratulations on the story, though. The recognition is well-deserved.